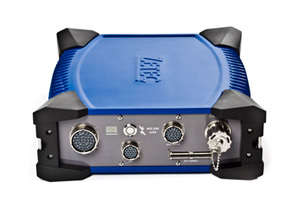 MIZ-200 is a fully portable, battery operated, remote data acquisition eddy current instrument delivering significant benefits including an industry leading signal to noise ratio to improve probability of detection in industrial environments. Designed with operator ease of use in mind, the MIZ-200 automatically recognizes the probe type connected to it and configures its internal multiplexor accordingly. Sealed – tested to IP65. AC mains power or Lithium-ion rechargeable batterries powered. Support for a wide ranges of probes.